Wikimedia Commons is a treasure trove of freely-reusable images and other multimedia files, particularly useful to students, teachers and small publishers. But the fact that it’s relatively unknown, coupled to an archaic and inadequate interface, makes it quite difficult to use it to its full potential. In 2007, I covered many political rallies organized as part of the campaign for the French Presidential elections. As a result, I've uploaded a fair amount of pictures of politicians to Wikimedia Commons and flickr. 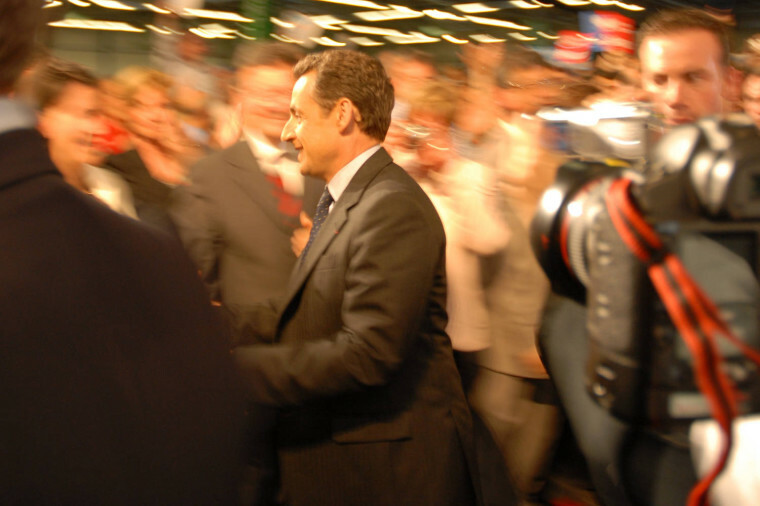 A few months ago, I was asked permission to reuse one of my photos of Nicolas Sarkozy, the new French President, that I had taken during his rally. The photo was printed on the cover of a newsletter issued by a London-based think tank called the Stockholm Network. They contacted me via flickr, but I told them to credit me via Commons instead, because it needs more publicity than the giant flickr. I am now being contacted by someone working for Community Connection News Magazine, "a minority print media publication company based out of Milwaukee, WI and serving the tri-state area" who's interested in a (quite ordinary) picture of a school bus from Québec. Photograph of a school bus in Québec, taken with a basic point-and-shoot camera before I even started contributing to Wikimedia Commons and Wikipedia. The lady emailed me through flickr and asked permission to use photos from my gallery there. She was quite astonished when I told her about Wikimedia Commons offering more than 1.8 million free media files. Eventually, flickr may help Commons to get some attention. Teachers and librarians, who are always very doubtful about Wikipedia, usually love the idea of a free media repository where they can pick media for their courses or to where they can send their students without risking that they copy/paste articles full of errors. Commons may be the next coolest project, as soon as developers find the time to improve its usability to make it more user-friendly and more "2.0". "as soon as developers find the time to improve its usability to make it more user-friendly"
As someone who has uploaded many photos Commons, I can say that this is it biggest drawback. While uploading is pretty easy, the organization and categorization systems are arcane, and pale in comparison to commercial offerings like Flickr and Picasa. Hopefully this changes sometime soon! As RMS mentions, the phrase 'free media files' make me cringe as it takes a surprising amount of time to explain the difference between 'free' media files like PD ones and 'free as in freedom' media files.